Yemen: "Almost all hospitals in the areas where we work have closed down"
With the conflict between armed groups escalating in Yemen, Médecins Sans Frontières/Doctors Without Borders (MSF) project coordinator Christine Buesser headed for the southwestern province of Al Dhale, where medical staff are struggling to keep hospitals running in the face of fighting, bombing raids and desperate shortages of medicine and fuel. I was anxious to get there, and frustrated that five of us were on standby, while our team in Sana’a didn’t have enough people. But finally I boarded a small aircraft. The arrivals hall at Sana’a International Airport was empty. Aside from the handful of officials processing our passports, there were no other people. Instead, empty halls, empty counters, and here and there a lonely cat or dog. The impact of the bombing could be seen in the blasted out windows and the half-destroyed buildings. In the car from Sana’a to Ad Dhale. Beyond the airport, the empty streets strewn with garbage were surrounded by beautiful mountains. Long lines of cars and motorbikes stood in front of non-functioning petrol stations. I gazed at rows of flattened buildings, realising how powerful the blasts must have been. I wondered if people had managed to flee in time. At the MSF house, I met the rest of the team. The office was no longer safe, due to airstrikes, so they were working in the living room, computers, phones and cables everywhere. They looked tired. My first priority was to assess the security situation in Al Dhale province, in the southwest of the country. International staff had been evacuated from the hospitals we were supporting because of heavy fighting. 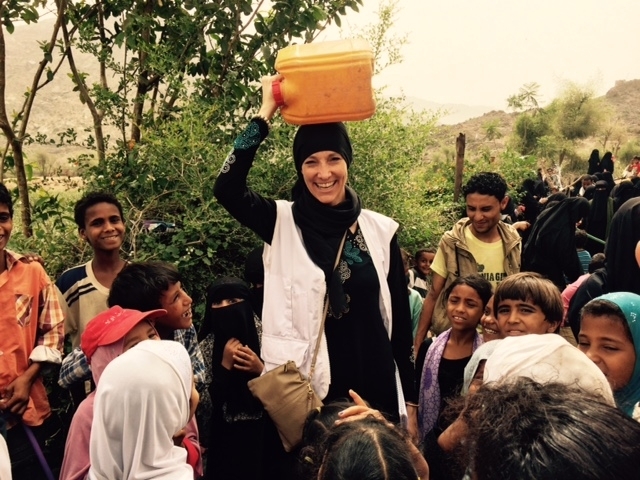 Our Yemeni colleagues were holding the project together, but many were unable to get to work. They were in desperate need of support. In the days that followed, we got everything ready, from medicine to a small generator to a printer and extra blankets and pillows. We would go to Qataba and then make our way to Al Dhale town, on the far side of the frontline. I arrived in Qataba on the day that airstrikes hit Houthi army positions. Each time a bomb hit a target near the hospital, I could feel the ground shake and the air pressure change inside my body. During the strikes, the women and children huddled together in the hospital corridor, some crying. Other patients left, either to check on family members or because they were afraid the hospital would be the next target. The days that followed were frantic and intense as clashes intensified and the frontline shifted. We got little sleep as we were receiving seriously injured patients day and night. Besides attending to the patients, the team was working hard to reinforce the hospital building with sandbags and bring in more medical supplies. Perhaps the most devastating effect of this conflict is the lack of fuel, basic provisions and essential services, including water, sanitation and healthcare. Almost all hospitals and pharmacies in the areas where we work have closed down. As well as providing emergency medical care, we wanted to ensure that women and children had a safe place to go when they became sick. It wasn’t long before the hospital in Qataba was overrun with screaming babies, crying children and their worried mothers. For some women, the only place to vocalise their fears was in the doctor’s office, and we were there for them. Some were so psychologically traumatised that their symptoms were physical. They complained about body pain, headaches, nausea and fainting. They were so afraid they could no longer sleep. I often wanted to cry when looking into their eyes and hearing their stories. Sometimes I couldn’t sleep either, because all night I could hear the explosions. The deafening noise of the rockets was apparently designed to instill fear. With a new team of international staff in the hospital in Qataba, we prepared to visit the hospital we are supporting in Al Dhale town by crossing the shifting frontline. There was no one on the road but us. At times we zigzagged around makeshift roadblocks. 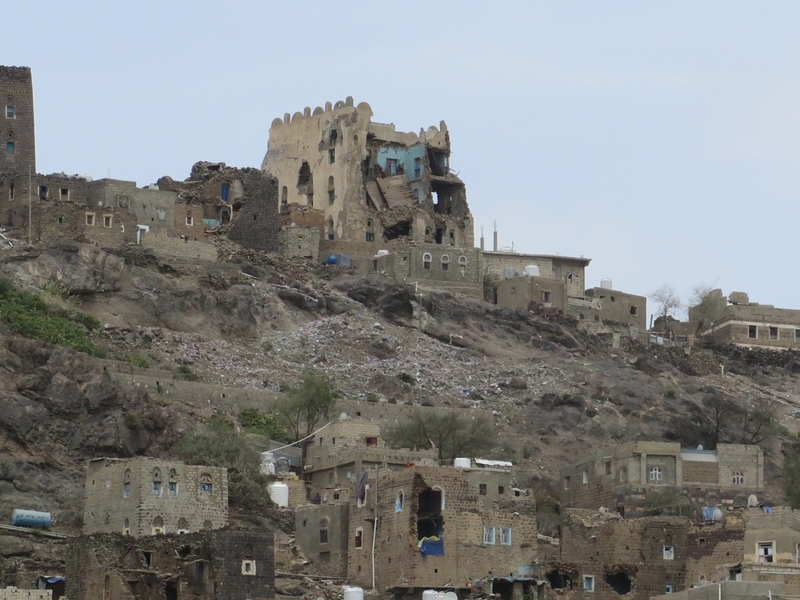 As we approached the town of Al Dhale, I saw a few Yemenis working in the fields, despite the risk of gunfire. Arriving, I was greeted by a strange sight. In the distance I could hear gunfire, yet shopkeepers were selling fruit and vegetables and people strolled through the streets. During the fighting, many people had fled to surrounding villages. But since armed groups loyal to exiled President Abd Rabbuh Mansur Hadi had taken control of the town, it seemed that daily life had returned to normal. But it soon became clear that the situation had not returned to normal at all. Supplies, including medicines, could not get through. Health facilities and water and sanitation systems had collapsed. One doctor told me she was worried about pregnant women in the surrounding villages who had complications during pregnancy or birth, but could not get to a hospital due to lack of fuel. MSF is supporting emergency services in Al Dhale hospital. We are also donating drugs and medical supplies to other health facilities in the area, and supplying them with fuel and clean water. With the fuel blockade, it’s a daily struggle for our teams to keep the hospital generators running. Without fuel, there is no electricity. Without electricity, there is no sterilisation, no oxygen concentrators, no lights in the operating theatre. Without proper sterilisation, a surgeon is forced to operate on patients with potentially contaminated surgical instruments. 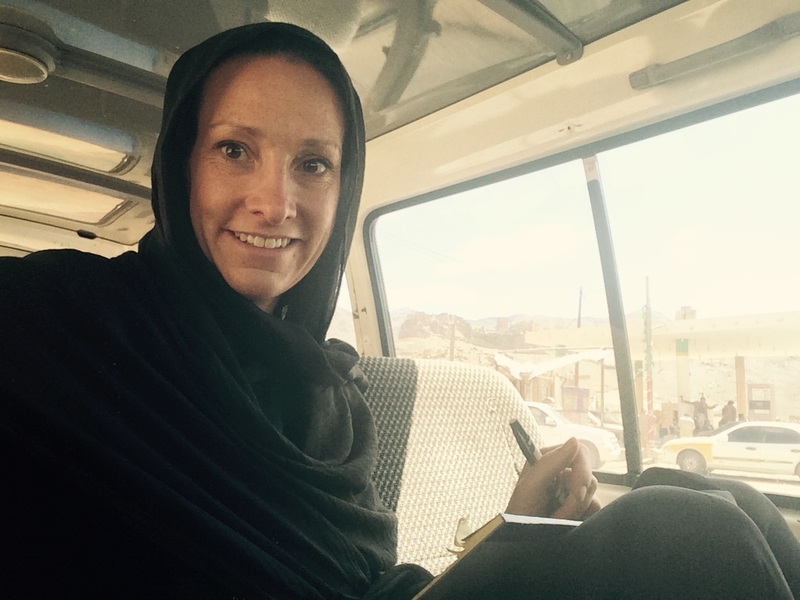 During my time in Yemen, MSF was the only international organisation working in Al Dhale governorate with both Yemeni and international staff on the ground. In the weeks that I was in Yemen, I tried to keep emergency services running, and played a part in helping to make healthcare available to those in need. But beyond providing physical assistance, the moments like those I shared with the women in the hospitals remind me that dignity, hope and solidarity mean so much too. I believe that this is why many of us help people in peril: because we believe in a world where people are not meant to suffer alone. MSF provides lifesaving medical services in the government-run Al Nasser hospital in Al Dhale town, providing round-the-clock support to the emergency room, as well as surgery and post-operative care. MSF is also supporting Al Azarik health centre with emergency care, antenatal and postnatal care, deliveries, routine vaccinations and nutrition treatment.